It’s Christmas time here at the Corner of Carnegie and Ontario, and what that means for the Pete household is a respite before loading up the Pete Family Truckster for a criss-crossing, 2000 mile trek up and down the East Coast, taking my family to both Florida and Pennsylvania over the next two weeks. Trust me when I say that I’ll enjoy the respite of Christmas day with just my family, opening presents, watching 24 hours of a Christmas Story, and hopefully falling asleep at some point around 5:00 P.M.
Hopefully you’ll be doing the same. With all of that said, it’s Wednesday, and the column must go on. I’ve decided to take a much more relaxed tone this week, and have delved into the land of theme. 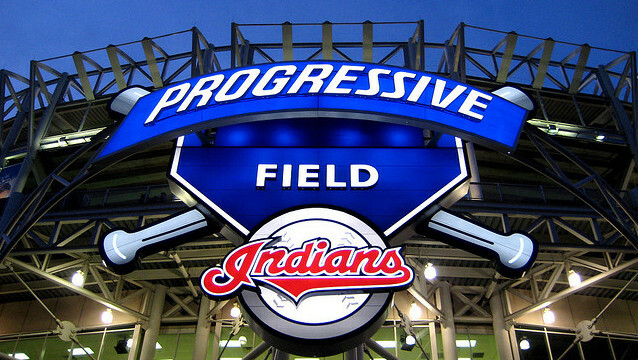 With Christmas Day finally here, I’ve decided to go the route of the ‘Twelve Days of Christmas for the 2014 Cleveland Indians.’ Oh, I could have rehashed the 2013 season (it certainly would have been easier), but thought it would be fun to take a look into Christmas’ future, rather than Christmas past. Jeez, I just hope I, or the Indians, don’t bump into the Grim Reaper along the way. Categories: Cleveland Indians, Corner of Carnegie and Ontario | Tags: Asdrubal Cabrera, Bryan Shaw, Carlos Carrasco, Carlos Moncrief, Carlos Santana, Cody Allen, Cody Anderson, Corey Kluber, Danny Salazar, Francisco Lindor, Jason Giambi, Jason Kipnis, Jesus Aguilar, John Axford, Jose Ramirez, Josh Tomlin, Justin Masterson, Michael Bourn, Nick Swisher, Terry Francona, Trevor Bauer, Ubaldo Jimenez, Vinnie Pestano, Yan Gomes, Zach McAllister | Permalink. The regular season in the Dominican Winter League came to a close Sunday, which now means that the playoffs are nearly upon us. However, this is only slightly newsworthy for the Tribe as most of the Indians that were playing in the DWL will not be advancing to the postseason. We already know that Jose Ramirez’s season came to an end due to injury, and Ronny Rodriguez and Colt Hynes will not be playing in the playoffs because their team, Estrellas de Oriente, did not qualify for the postseason. Something could change and a player may be picked up by a Dominican team that did qualify for the postseason, but as of now, it appears as if Leones del Escogido might be the team for Indians fans to follow this postseason. Erik Gonzalez is a member of the team, and hopefully he will get an opportunity to continue his torrid winter season throughout the playoffs. Also, Carlos Santana has been playing at third base for the team, and we all that’s been one of the more noteworthy items to come from the winter leagues this season. 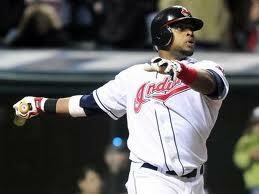 Categories: Cleveland Indians, Winter Ball Notebook | Tags: Carlos Moncrief, Carlos Santana, Joseph Colon | Permalink. Oh what a week it was. There’s plenty of news coming out of this past week’s winter ball action, but perhaps no news is bigger than the Surprise Saguaros defeating Mesa 2-0 to win the Arizona Fall League title on Saturday. This news is particularly important for the Indians, simply because the Tribe had eight players (Tyler Naquin, Joe Wendle, Tony Wolters, Shawn Armstrong, Trey Haley, Jeff Johnson, Will Roberts, Tyler Sturdevant) on Surprise’s roster. The actual importance of an AFL Championship may be debatable, but it’s still nice that a strong contingent of Indians were part of the winning team. At the very least, these players gained valuable experience by playing in games that were weighted in importance. A handful of these players made some positive strides during their time in the AFL, and that’s really all that an MLB team can ask for. Moncrief’s numbers weren’t too impressive for the most part, but the reality is that no one Indians player really stood out in terms of performance this past week. However, the one nice thing with Moncrief was that he finally started to display some power for the first time this winter season. His two doubles and one home run were his first extra-base hits of the winter season. While much of the hype this winter has centered around Jesus Aguilar, do not overlook Moncrief. Yes, Aguilar is coming off a strong 2013 campaign, but it could be argued that Moncrief’s season was even stronger. Also, while Aguilar could factor into the Indians’ plans in 2013, the very same thing can be said for Moncrief. Any team is always searching for an athletic player who has the ability to hit for some power, and that is a perfect description for Moncrief. He is only hitting .243 (9-for-37) in 10 games a so far, and his 12 strikeouts are alarming, but there is still plenty of time for him to turn it around and have an Aguilar-esque type winter season. This past week was definitely a step in the right direction. — You have to be impressed with what Tyler Naquin accomplished this fall in the AFL. Because he was a first round pick (and selected before Michael Wacha), Naquin has found himself to be the subject of much criticism as of late. To an extent, that is fair as Naquin did show that he has some noticeable flaws in 2013, especially in regard to plate discipline (134 strikeouts in 126 games). However, this fall Naquin really was outstanding in almost every facet as he compiled a .339/.400/.417 line with four doubles, one triple, one home run and 18 RBI. He also showed improved plate discipline as he draw 11 walks and struck out 18 times. Now, it’s obviously too early to predict that Naquin will have an impact at the Major League level, but he does seem to be making progress in his development. He played almost every game this fall for Surprise, and that’s a testament to just how hot he was. Coaches usually rotate players in and out in an effort to get every player some quality at-bats, but Naquin was never out of the lineup for much more than a day at a time. That’s a testament to his performance and just how much he meant to Surprise’s AFL title win. — The IBI’s Jim Pete and Michael Hattery recently started a “campaign” to voice their support for infielder Jose Ramirez. While I fully support that campaign, I propose launching an additional campaign for another budding Indians prospect — Joe Wendle. Wendle completed a strong AFl campaign this past week as he posted .311/.371/.492 line with four doubles, two triples, one home run and 12 RBI. What makes this even more impressive is that all of this production came in a mere 16 games. Unfortunately, Wendle was a casualty of a manager trying to get his players as much time as possible, so he never really got the opportunity to play every day. Nonetheless, his impact was still significant, which is especially impressive when you consider that he likely was never able to get into a rhythm at the plate. There are varying opinions as to what the future holds for Wendle. Some say he’s perhaps a rich man’s Cord Phelps while others think he could have an impact as significant as Jason Kipnis, minus Kipnis’ defense. I’m not sure of where exactly he falls, but his numbers are impressive enough that the Indians may want to experiment with him at some other positions other than second base. Wherever he has gone, he has posted impressive OPS numbers, so it could be that there is more than meets they eye with Wendle. — Speaking of Jose Ramirez, what exactly is going on with the switch-hitting infielder? In 21 games in the DWL, Ramirez currently has a .267/.308/.384 line. Those numbers are really not all that concerning, but the one other area that could be somewhat worrisome is the fact that he has drawn just three walks while striking out 15 times. Keep in mind that part of Ramirez’s calling card is his ability to get on base and put up quality at-bats. However, he just has really struggled in that area so far this winter, and there does not seem to be any real reason as to why that’s the case. The one positive thing to remember here is that it’s just 21 games and 86 at-bats, so there is time for Ramirez to get it straightened out. Nonetheless, after such a strong 2013 season that ultimately resulted in a promotion with the Major League club, one would hope that Ramirez would have gotten off to a better start in winter ball. Categories: Cleveland Indians, Winter Ball Notebook | Tags: Carlos Moncrief, Cord Phelps, Jason Kipnis, Jeff Johnson, Jesus Aguilar, Joe Wendle, Jose Ramirez, Joseph Colon, Michael Wacha, Shawn Armstrong, Tony Wolters, Trey Haley, Tyler Naquin, Tyler Sturdevant, Will Roberts | Permalink.